The Rogue is very well priced for a compact SUV, starting at $24,420. A low starting price will always help keep insurance costs in line. Its average rate is $318 less than the nationwide average of $1,605. 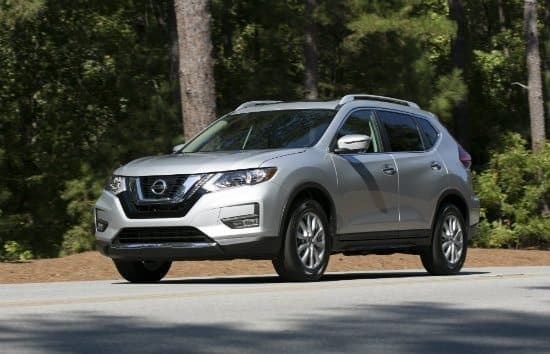 In addition to its Top Safety Pick status, the Rogue is highly praised for its cargo capacity and comfortable back seats. Critics warn that acceleration can be sub-par and overall the Rogue is a bit underpowered. "A low to moderate price tag while still featuring many advanced safety features helps keep the cost of insuring the Rogue low," says Riley. In addition, its less than stellar acceleration can work in your favor when it comes to your insurance premium. "Engine sizes, even among the same makes and models, can also impact insurance premiums", says Worters. 0 Responses to "2017 Nissan Rogue S"